This picture is © R.A.Scholefield Collection and may not be used or published without permission. 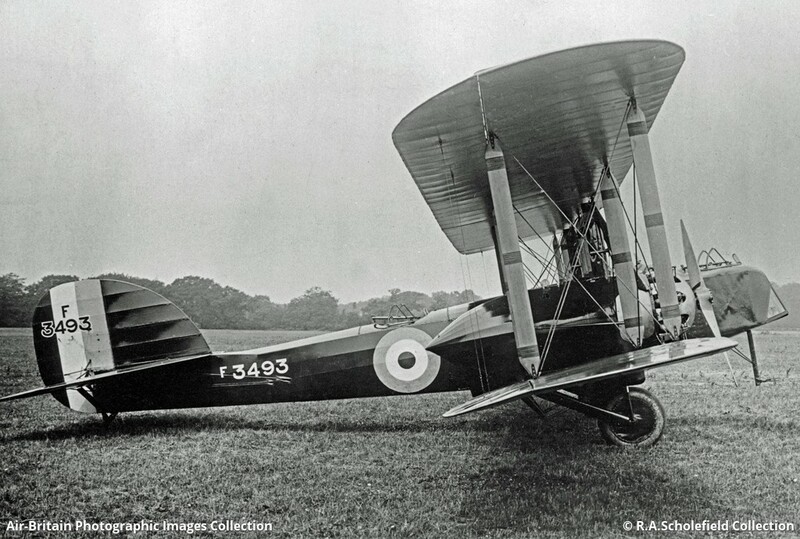 The second of three Type 533 Manchesters to be completed in 1918/19. F3493 was the sole Manchester I, powered by ABC Dragonfly I engines. Tested at Matlesham but the end of WWI meant there was no longer an operational requirement for this three crew twin-engined bomber. From Avro 60 years ago.